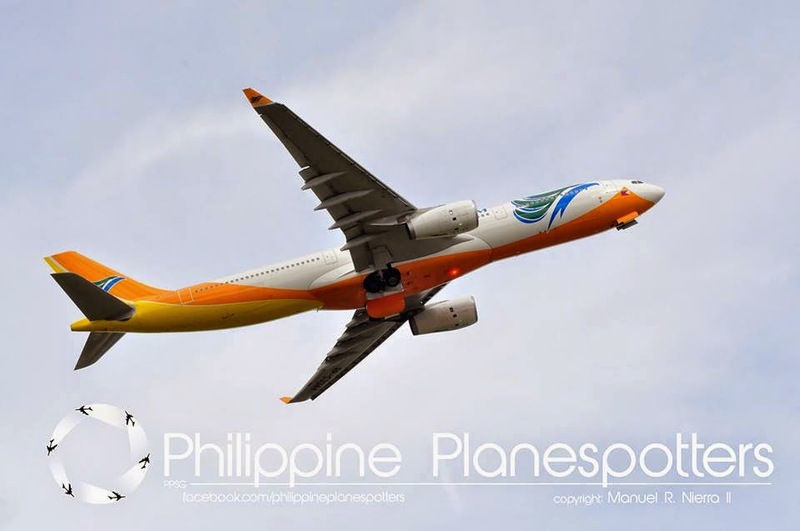 Aviation Updates Philippines - Gokongwei-led airline, Cebu Pacific Air, announced that it will be expanding its long-haul operations by introducing flights to the United States, competing with the Philippines' national flag carrier, Philippine Airlines. "We applied to FAA for our operating permit to fly to the US, as we are always evaluating aircraft since we are in constant touch with airframe manufacturers. As an airline, we're constantly studying opportunities for further growth," Cebu Pacific Long Haul Division General Manager, Alex B. Reyes said in a text message. According to the low cost carrier, it will be adding flights to three United Arab Emirates destinations, to their current long-haul network in Kuwait, Sydney, and Dubai, aside from flights to the United States. This was confirmed by Reyes in a phone interview conducted by the ABS-CBN News. Cebu Pacific's move to fly to the United States was due to the recent upgrading of the Philippines' Aviation Safety rating to category 1 from category 2 since the year 2008. However, the airline already gained clearance to fly to Guam, Saipan, Honolulu, San Francisco, and Los Angeles. "We are particularly interested in two of those destinations: Guam and Honolulu. We want to reach destinations through nonstop operations via our Airbus A320 for Guam and Airbus A330 for Honolulu." Reyes said. However, no definite time for expansion plans was given. Aside from flying to the United States, the carrier also wanted to expand its gulf operations by adding three new destinations. According to Reyes, the high concentration of Overseas Filipino Workers made the airline interested in expanding its flights to the Middle East. Cebu Pacific was originally looking at supplementing Dubai with Abu Dhabi, but the airline sees more potential in Sharjah due to the connection opportunities offered by Air Arabia. "Cebu Pacific, however, first needs to secure additional UAE traffic rights before a service to Sharjah can be added. Cebu Pacific has long pushed Philippine authorities to adopt a policy of prohibiting Filipino carriers from loaning their traffic rights to UAE carriers," CAPA explained. With more long-haul flights being launched, the airline is currently reviewing the prospect in acquiring wide-ranged aircraft such us the Airbus A350, Boeing 787 and the ever-popular Boeing 777. "We are always evaluating aircraft acquisition since we are in constant touch with airframe manufacturers," Reyes said.